Opened in 2016, Flora Bar is the third restaurant from chef Ignacio Mattos, situated inside the Met Breuer, a landmarked building in the Brutalist style. In 2016, Flora was named one of the city’s best new restaurants by the New York Times, and New York Magazine calls it the best restaurant on the Upper East Side. 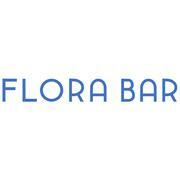 Flora Bar is currently seeking a Sous Chef passionate for its cuisine; who can express a mentoring, education-focused style of leadership; and who is able to balance the many demands of this dynamic position. Understanding the personnel, operational and financial demands of a restaurant and it’s kitchen operations are an essential foundation. Moreover, a strong candidate is able to efficiently synthesize information, prioritize tasks and oversee their completion, and manage demands on the go in order to ensure successful service. 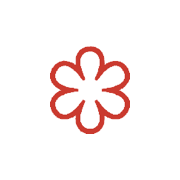 Quality and consistency in our food is our highest priority. Our team must ensure that all kitchen staff are able to prepare their station and themselves to the highest standards. Company culture and staff education are integral in our development. We believe that our employees are our greatest resource. Creating a diverse and informed team and providing all of our staff with the tools and information they need to understand and prepare our food is essential. Communities are essential to our success. We welcome an endless variety of people through our doors every day. Whether they are purveyors, staff, guests or a new neighbor we depend on them. In order to continue growing, we actively seek ways to engage and embrace that community. You will work closely with the Chef de Cuisine and be expected to assume responsibility at this level as you will be left to run shifts and lead the team. You will be adept at working with senior team members, not just the CDC, but also the GM and the front of house managers as well.